In a year that saw India-Pakistan peacetime tensions soar to an all-time high, it was not unusual for the respective militaries to send Unmanned Aerial Vehicles (UAVs) on spying missions into each others' airspace. Kept away from the public eye, only some of these missions would be known to the media; and that too only if governments wished to derive some political or rhetorical mileage.  Occasionally, these drones would be detected and be defended against by all possible means. For their operators the price of intelligence was too high compared to the potential loss of a UAV. 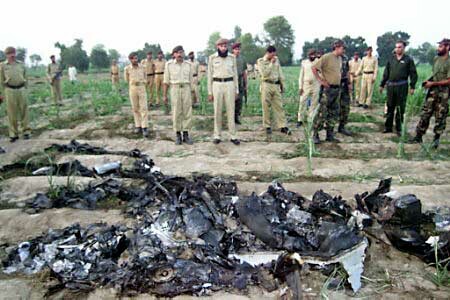 In one such operation on Friday 7th June 2002, two IAF Searcher-IIs penetrated Pakistani air space at low level near Lahore. In response two Mirages and four F-7Ps were scrambled from Rafique which failed to detect the small, slow moving aircraft . 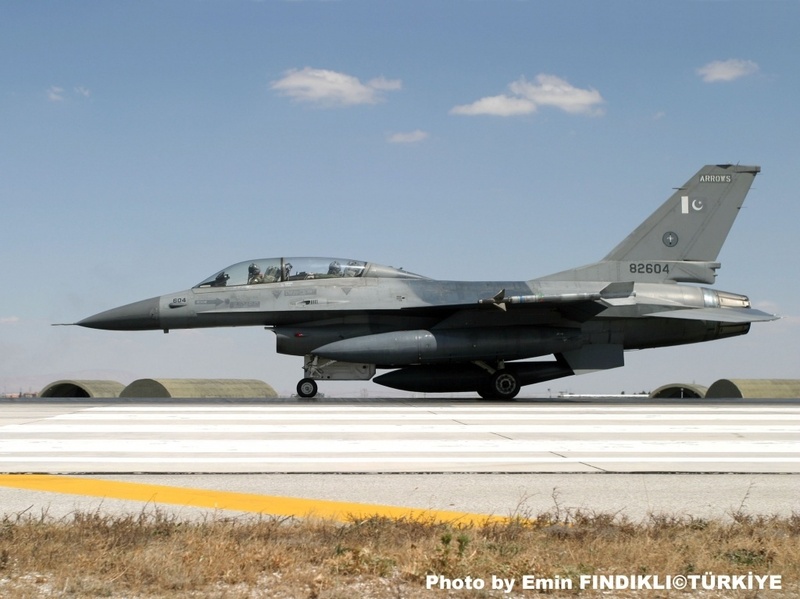 Another pair of F-16s took off from Kamra and were able to down one Searcher [S/N 'T-2004']; thus achieving a rare air-to-air kill of a drone at night. The PAF claimed that the intruding aircraft was shot down at 2300 Hrs; its wreckage recovered at the Dogran Kalan village  (close Raja Jang town) south-west of Lahore , which is the capital of Pakistan's Punjab province. The victim had taken off from an airfield in Jammu . The interception was carried out by a PAF F-16B [S/N '82-605'] Falcon flown by Sqn Ldr Zulfiqar at 13,000 ft . ACM Mir's statement; "The UAV was spotted by the mobile observation units when it crossed into Pakistani territory and was immediately gunned down" substantiates that the intruder was not detected by a radar. 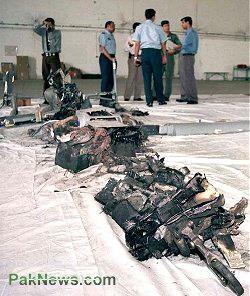 The wreckage photos show the remains of a AIM-9L Sidewinder AAM, probably the one which downed the UAV. AIM-9L is the more sophisticated than the AIM-9P version of the missile, which is also in service with the PAF. Searcher-II has an endurance of 14 hours and venture out for 250 Km from the base; it can climb up to an altitude of 16,000 Ft (4875 m). It is not known to what degree it fulfilled its mission but the depth of interception was significant considering that Pakistan's Air Defence Net is strongest in Punjab. Neither is it known what pattern the Aircraft flew over Pakistan and for how long; but still it would be a mistake to take Dogran Kalan's straight distance from the International Border at Punjab as the measure of intrusion since the mission started from Jammu and/or the route taken could have been circuitous. For Pakistan, the detection of the spy plane and its interception was projected as a proof of capability of their air defence network; even though the same can be viewed as a serious bungling judging by the distance it traveled into Pakistan. At a press conference held at PAF Chakala on June 10, Then PAF Chief of Air Staff ACM Mushaff Ali Mir made wild allegations of direct involvement of Israeli personnel in the mission, based on the fact that it supposedly did not have any Indian markings. He also felt that the aircraft was inducted only a few months back in a "hurry" . In any case, none of the publicly available pictures of IAF Searchers show any conventional IAF markings such as Roundels and Fin Flash, except for the serial number. Indian external affairs officials admitted losing contact with a UAV in that region, but described it as a routine matter. 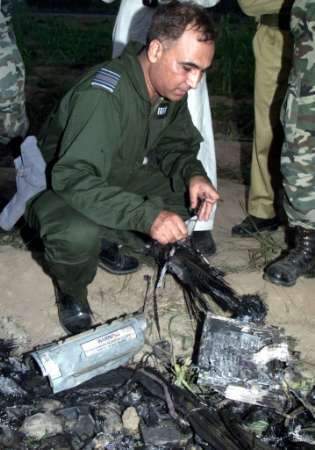 In a statement issued to the Indian Parliament on 18 July 2002 then Indian Raksha Mantri (Defence Minister) George Fernandes acknowledged the UAV being "shot down by a Pakistan Air Force aircraft" . "Pakistan shoots down Indian Spy Plane"
News clipping of the incident (75 secs - 424 KB - Real Media). The aircraft crashed into a Sugarcane field, with a significant portion still intact. 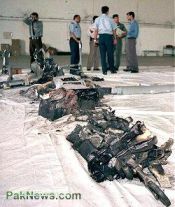 It is not known whether the wreckage was collected from a large area and brought to a single place for display; given the altitude at which the aircraft was claimed to be killed it is more likely to spread over a wide radius. 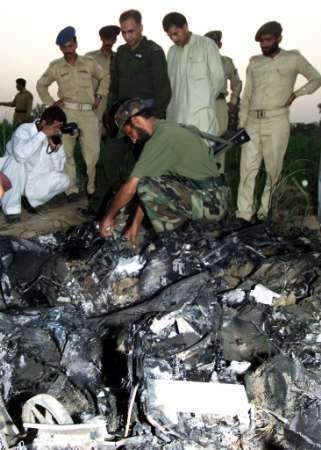 A PAF Officer (in green overalls) inspects the wreckage. 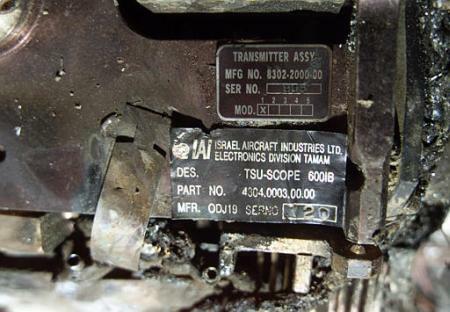 Badging recoevered from the wreck clearly mentions the aircraft's origins: "Israel Aircraft Industries Ltd. Electronics Division Tamam". 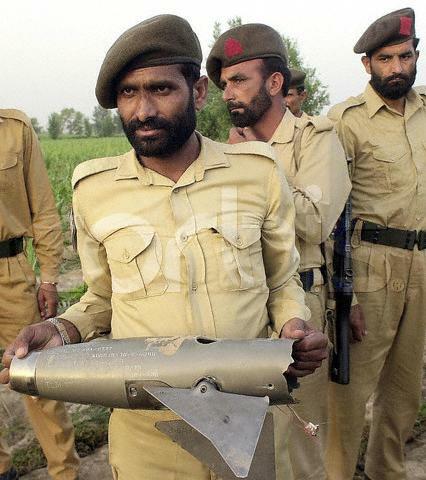 The Pakistani Government was very proud to have shot down an aircraft from Israel. 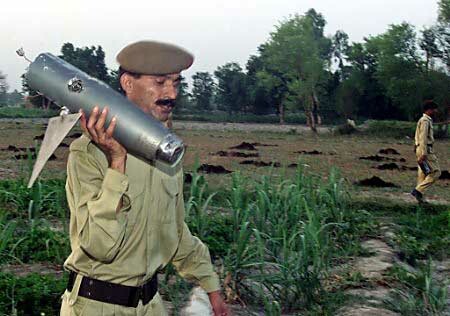 A trooper displays the remains of a AIM-9L Sidewinder Air-to-Air Missile (AAM). In PAF service only F-16s are known to carry the AIM-9L, while other aircraft such as F-7 and Mirage-IIIs are armed with the lesser capability AIM-9P. 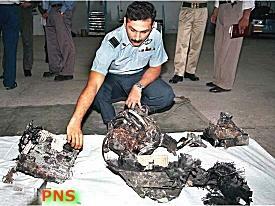 Remains of the AIM-9L seeker that is suspected to have downd the UAV. 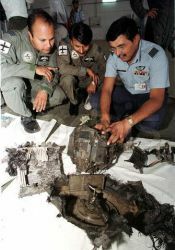 A PAF Officer displays the wreckage to two curious pilots from the Chakala based No. 6 Squadron. 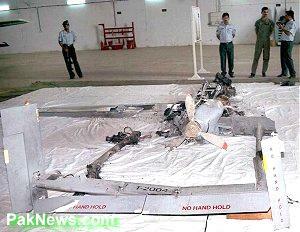 Substantial portions of the aircraft body; the tail and port side were recovered intact. The nose wheel is visible in this photo. Clearly visible here on the control surfaces of the aircraft is the serial number: T-2004. Portion of the UAV tail section is now on display outside PAF 9 Sqn home. 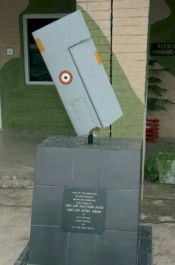 The plaque credits - Sqn Ldr Zulfiqar Ayub and Sqn Ldr Afzal Aman for the kill, indicating that the fighter was a F-16B. PAF was then operating in an alerted state - Operation Sentinel. 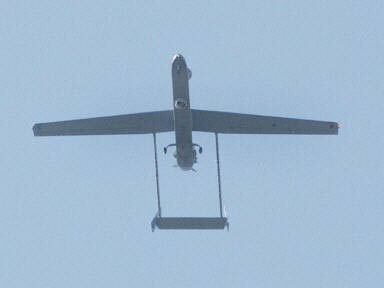 Note that IAF does not paint any roundels or national markings on UAV. A Pakistan Air Force F-16B . An aircraft very  similar to this example intercepted the drone. Chief of the Naval Staff Admiral Arun Prakash (centre), Flag Officer Commanding-in-Chief of the Command Vice-Admiral S.C.S. 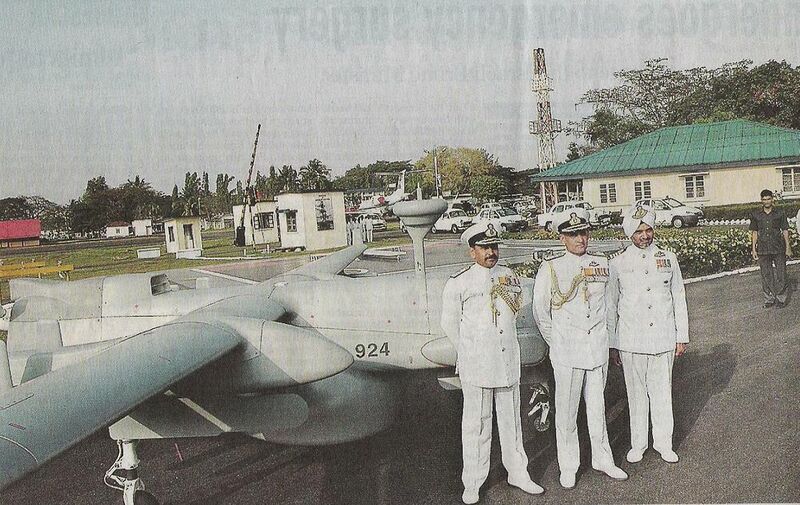 Bangara (right) in front of Seracher-II UAV [S/N: 924] at the Southern Naval Command, Kochi. The occasion is the raising of the first Indian Naval Air Squadron equipped with UAVs: INAS 342 Flying Sentinels at INS Garuda (7th Jan 2006). 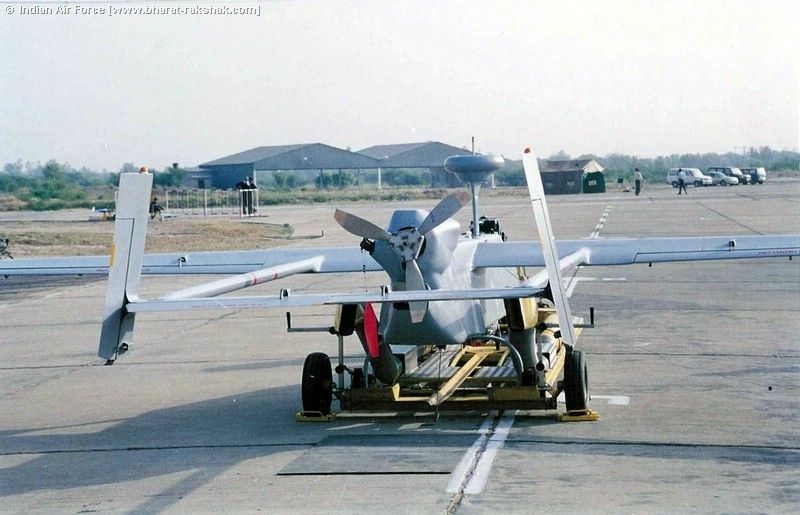 UAVs were inducted into the Indian Navy in 2003 at Garuda. IAF Searcher-II exhibit at the Republic Day Parade (26th Jan 2005). 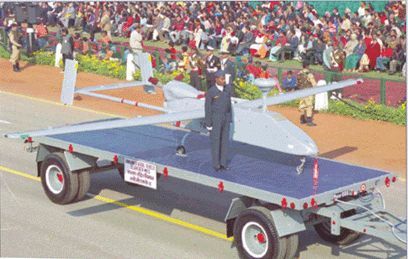 Searcher-II's first public appearence in India; a flypast at Vayu Sena Diwas (Air Force Day) 2003. The undercarriage of the aircraft cannot be retracted. 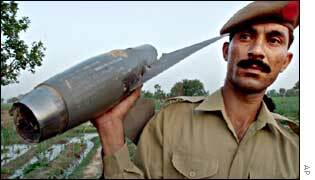 File photo of a Searcher-II [T-2002] in IAF service. Compare this view to the photo of the reconstructed wreckage above.